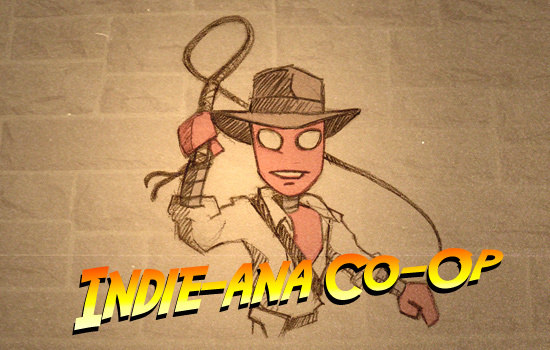 This week in Indie-Ana Co-Op, we look at Relic Raider and Stick 'Em Up 2: Paper Adventures for XBLIG. When this feature was started, a name was (somewhat jokingly) decided upon after a weekend spent re-watching the "Indiana Jones" movies. (Of which there are only 3!) Much like the titular hero does in each of those movies, we figured this article would be a way to explore the many indie co-op game offerings to find those gems that truly bring you a great co-op experience (and potentially belong in a museum). After much searching, we have found Relic Raider, a game that seems just as inspired as we were by Dr. Jones and provides a great co-op experience to boot. In addition to everyone’s favorite whip wielding adventurer, the game is based around many of the ‘80s type arcade games. 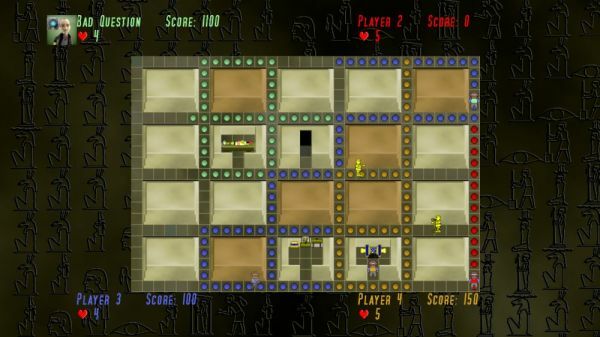 For each of the 50 levels, your goal is to navigate around the labyrinthine area, opening up the various tombs to uncover the relic, the key, and the exit. Discovering what lies inside a tomb is accomplished by completely circumnavigating the area around it, though be careful of what you might find. Along with treasure, bikini babes (apparently), and a means of escape, there are tomb guardians and snakes that may lurk within these catacombs, not to mention the occasional trap. The guardians and snakes randomly move about the level to thwart your otherwise easy exploration, though you are not completely defenseless. In a move that feels straight out of Pac-Man, you will occasionally find a scroll of power within the catacombs, which allows you freely destroy the snakes and guardians without fear of reprisal. Of course, making your way through all of these twisting and turning passages is far easier when you bring a friend or three along. Working with friends to discover the secrets of the tombs means each level becomes something more of a “divide and conquer” exercise. Each player can be given his or her own quadrant on which to focus his or her encompassing efforts, or players can work together within the same area to get through a little bit faster and avoid the hazards. If a player runs out of lives (each has 5) due to too many run-ins with the various foes and traps, he or she must sit out for a bit until the other players find an ankh that will resurrect fallen allies. A few of the games we’ve discovered through the Indie-Ana Co-Op series have attempted to recapture the more retro feel of the NES/SNES/Genesis days of gaming, but very few have gone back to the days when you’d toss coins into the arcade at your local pizza place. 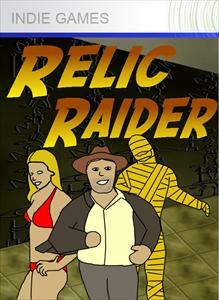 Relic Raider provides a very fun co-op experience for any gamers looking for a throwback to those older days. After all, it’s not the years; it’s the mileage. Page created in 1.4025 seconds.